At Brookville Dental Associates, Dr. Charles Levesque and Dr. Cathrine Kaplan have been serving the south shore communities of Boston for over twenty years and share one simple goal in mind: to make people smile. They are known for their ability to listen and translate the desire and concerns of their patients into smiles that are comfortable, functional and attractive. To create healthy smiles that come from excellent service. Proudly offering you and your family a variety of services to meet specific needs. 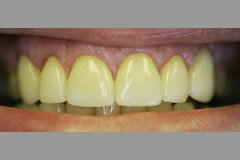 We stay current with the latest developments in dentistry to provide you with comfortable and effective treatment. For your safety, we implement OSHA and CDC recommendations as standards of infection control. We serve to make your smile. Lets face it, a good-looking smile is not only nice to look at but also great to have. It's a sign of good health and youthfulness. That alone makes this dental treatment worth the investment. We offer several options with different price points that allow you to enjoy the return on your investment no matter the situation. 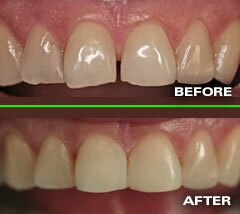 We love creating beautiful smiles. The most important aspect of a good-looking smile is balance. 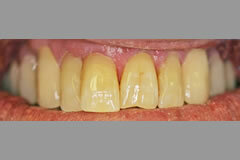 A balanced shade and shape of teeth within the smile creates positive cosmetic effects. 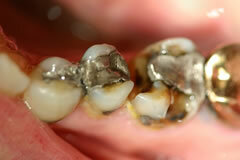 With today's dental materials we have a variety of materials that look very natural. There's no heat, and no scraping. 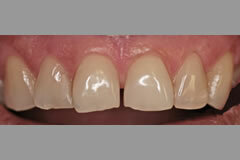 Our whitening system uses only two simple elements: gel and light. Comfortable, Natural, Secure and Stable. 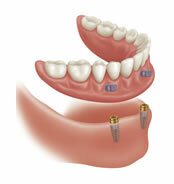 Dental implants are used to replace missing teeth and to secure removable dentures and partials. 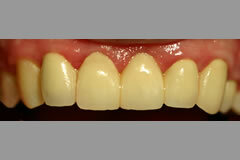 They are esthetic and feel natural. 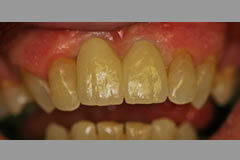 They are permanently fixed (non-removable) and provide a stable solid platform to rebuild your smile. 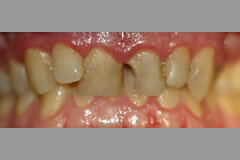 They do not depend on your natural teeth for support, which reduces future complications. 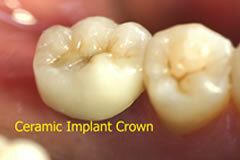 Implants prevent bone loss in the jaw. 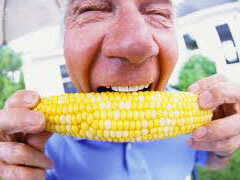 Implants provide the security, strength, and confidence to bite into an apple or corn on the cob. They will never decay and they have a long-term success rate. 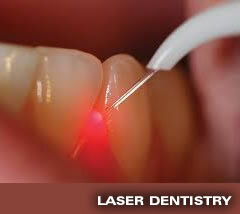 Dental lasers enable methods of treatment that are comfortable and safe. The laser energy can bio-stimulate tissue to improve healing and decontaminate certain viruses and bacteria. Cold Sores/ Fever Blisters (a.k.a. Herpetic lesions): If treated early enough, lasers can prevent the breakout of a cold sore. It has been documented that the frequency of recurrence will decrease when laser energy is applied. • No bleeding and No pain! 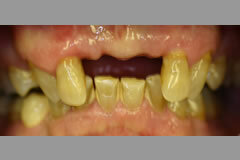 Our ongoing commitment to you is to prevent the onset, progress, and recurrence of dental disease. Our Dental Hygienists play an enormous role in disease prevention and early detection of dental disease. Good oral hygiene and a balanced diet will sustain a healthy smile. Regular cleanings, dental exams and dental x-rays will prevent costly treatment and minimize unforeseen dental disease, pain and swelling. Detecting and treating dental problems early saves you time, money, and unnecessary discomfort, not to mention your teeth! 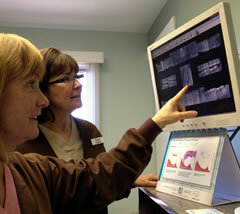 Digital x-rays provide valuable diagnostic information with significantly less radiation. 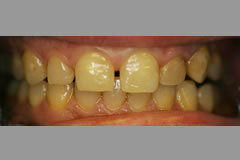 We use this information to safely and accurately detect hidden dental problems. Dental X-Rays reveal: Abscesses or cysts, Bone loss, Tumors (cancerous and non-cancerous), Decay between teeth and under old restorations, and Developmental abnormalities. Digital Dental x-rays are safe. The amount of radiation from our digital x-rays is comparable to the levels of "natural background radiation" which we are all exposed to from our environment. Four digital dental x-rays is equal to levels that are less than three days of environmental background radiation. Among the most common fears, dentistry ranks second to public speaking. Anxiety in the dental office is not uncommon and does not have to go untreated. We make every effort to help our patients feel relaxed and comfortable in our office. This includes discussing your concerns or fears so that we may understand your particular situation and tailor our treatments accordingly. We encourage our patients to listen to music through the use of personal headphones. This helps cancel out the sounds occurring during treatment. For long appointments, we can play a movie to transport and distract you from worry. Yet for others, these types of solutions may not be enough. 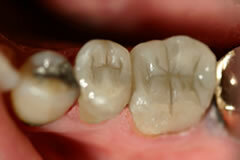 More profound methods such as oral sedation or nitrous oxide may be indicated. These methods are safe, effective and comfortable. Whether anxiety stems from a fear of needles or specific dental procedures, our staff welcomes everyone without judgment and tries to find the right method for each patient. It is our goal to help you feel good about your experience with us. 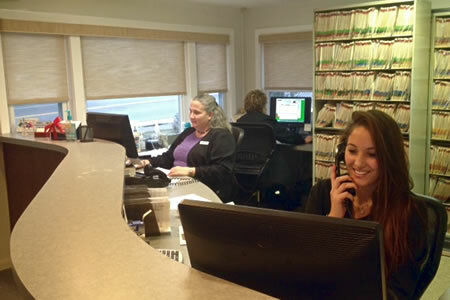 Our professional staff understands that your time is valuable so we strive to make the most of each appointment. We are dedicated to making your experience at Brookville Dental comfortable, safe, affordable, informative, and fun. 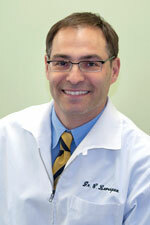 Dr. Kaplan graduated from the University of Connecticut, School of Dental Medicine in 1995. 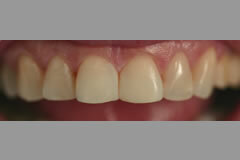 She practices most phases of general dentistry, but particularly enjoys restoring esthetic cases - or "smile makeovers". 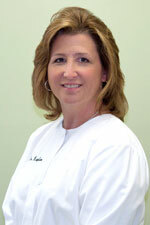 She is a member of New England Academy of Cosmetic Dentistry. 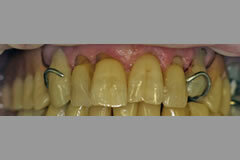 She continues to seek continuing education in all areas, with emphasis on the latest bonding techniques and esthetic materials. Dr. Kaplan completed advanced residency training at the Veterans Affairs Medical Center in Cleveland, Ohio. It was here that she focused on treating our country's vets and provided oral cancer detection and dental reconstructions. She has had a multitude of dental experiences including treatment of the elderly in nursing homes, and treatment of the developmentally disabled at a state group home. She moved from a private practice in Florida back home to Massachusetts to be closer to her family. 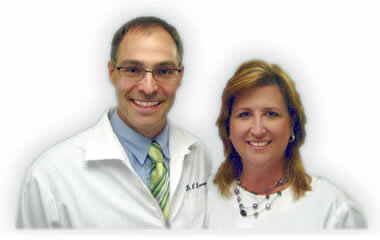 Dr. Kaplan and her husband Michael have two children, Rachel and Jake and reside in Easton. She enjoys golfing, cooking, reading and quality family time. Dr. Levesque graduated from Tufts School of Dental Medicine in 1998, and has dedicated his professional career to improving the lives of his patients through dental care. He is a member of the American Dental Association (ADA), and a Fellow Member of the International Congress of Oral Implantology (ICOI). Upon graduating from dental school, Dr. Levesque worked for the Public Health Service providing dental care for the Navajo Indians in Crownpoint, New Mexico. Along with providing general dental care, he worked closely with the diabetic population to manage their increased susceptibility to periodontal disease. Dr. Levesque participates in advanced training and continuing education courses which focus on various disciplines of dentistry, including: implant treatments, esthetic restorative dentistry, and soft tissue management. Dr. Levesque lives with his wife Michelle and their 3 girls: Maddie, Sylvie, and Ava. They reside in Scituate, MA. He enjoys good food, a good laugh, and spending time in the great outdoors with family and friends. Our Office will be located on the right before the intersection. Drive approx. 1½ miles through two sets of lights to third set of lights at end of road; this is Rte. 28 in Avon. Make left, traveling north; then make almost immediate right (approx. 100 yards) onto Spring Street. Drive approx. 1 mile to end of road and blinking yellow light. Make right onto South Street. Drive approx. ½ mile to set of lights, which is Rte. 37 in Holbrook. Make left at lights, traveling north; Brookville Dental is on left, just before Stop & Shop parking lot – gray house with sign on front lawn, driveway just after house, with parking in back. Open 6 days out of the week. form in advance and save time for first time visitors. We look forward to earning your smile!